Low-cost airline Norwegian has unveiled new benefits under its loyalty program, Norwegian Reward, which it says will give members in 2017 a free return flight or upgrade to its premium cabin on any long-haul route for travel in 2018. The program also gives members the chance to earn rewards and CashPoints for discounted and free Norwegian flights. Norwegian was created to bring rock-bottom fares to international flights to compete with more expensive flag carriers. The airline launched 10 new trans-Atlantic flights using new Boeing 737 MAX from New York’s Stewart International Airport, T.F. Green Airport in Providence, R.I., and Bradley International Airport in Hartford, Conn., to Ireland, Northern Ireland and the UK starting on June 29. 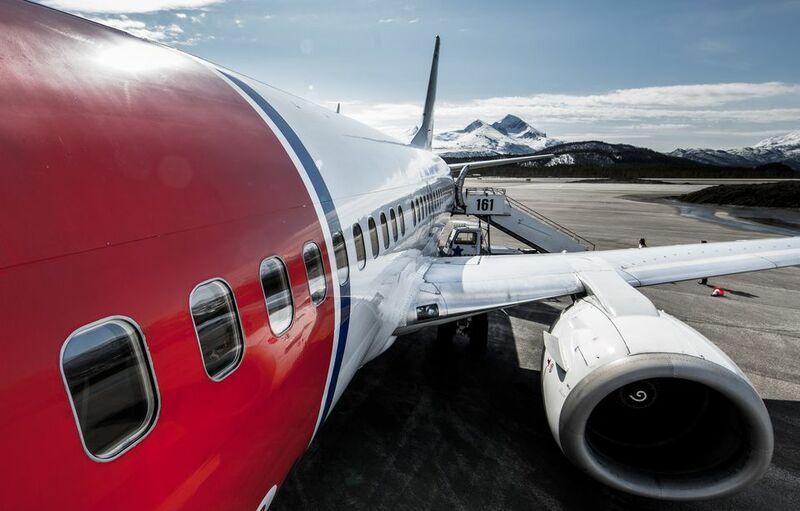 Norwegian Reward was launched back in 2007, when the airline also launched Bank Norwegian as a full-scale online bank, said spokesman Anders Lindström. Bank Norwegian credit card holders would earn so-called Cash Points on their transactions, as well as on Norwegian flights, he added. Norwegian Reward members who fly at least 20 round trips (40 one way flights) and have at least 3000 CashPoints earned on flight tickets by Dec. 31, 2017 will receive a free return flight to any one of Norwegian’s long-haul destinations, flown on its Boeing 787 fleet. Travelers who fly 10 round trips (or 20 single trips) with Flex tickets in 2017 will get a Premium upgrade in 2018. Premium passengers get to sit in a spacious cradle seat with 46 inches of legroom, free meals and drinks and free lounge access at select airports. Flights are redeemable in January 2018 with a valid travel period throughout the entire year of 2018. The airline has lounges at the following airports: JFK, Newark-Liberty, Boston Logan, Los Angeles International, Oakland International, London Gatwick, Bangkok, Copenhagen, Oslo, Paris Charles DeGaulle and Stockholm. As the world’s fastest-growing airline, Norwegian has grown at a significant rate over the last five years. “Our annual passenger numbers have pretty much doubled, growing from 15.7 million to close to 30 million for 2016, said Lindström. “At the end of 2011, we had 297 routes, now we have more than 550, including 58 trans-Atlantic routes – more than any other European airline – and domestic flights within Spain, for instance,” he said. “Just from the U.S., we now offer 64 routes, including six to the French Caribbean. And this is still fairly early days, we have more than 200 aircraft on order, we’re planning to set up operations in Argentina, and we are only this fall launching our second route to Asia (London-Singapore), an untapped market for us where we see great potential,” said Lindström. In July 2017, Norwegian announced new service from Austin and Chicago to London and plans to add new routes from Boston and Oakland to Paris. The airline will complement its JFK-Paris route with six weekly flights from Newark and boost Los Angeles to Paris by two more flights a week. Service from Austin-Bergstrom International Airport to London Gatwick will launch on March 27, 2018, with three weekly flights. Chicago O’Hare-London launches on March 25, 2018, initially operating four times a week. Boston Logan-Paris launches on May 2, 2018, and will operate four times a week. Oakland-Paris launches on April 10, 2018, and will operate four times a week. And Newark-Paris launches on Feb. 28, 2018, and will run six times a week. “We are still also very committed to the U.S. market and providing more affordable flights for Americans by opening new cities and routes,” said Lindström. An international low-cost carrier offers $65 trans-Atlantic air fares.